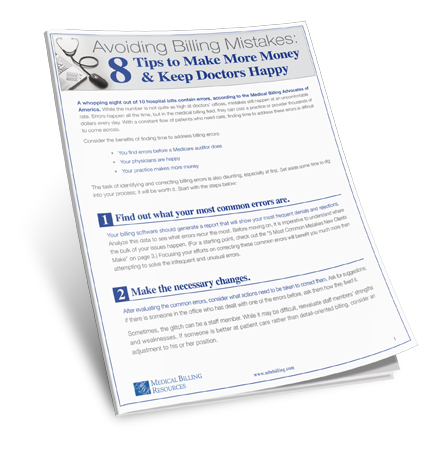 8 Tips to Make More Money & Keep Doctors Happy! Advocates of America. While the number is not quite as high at doctors’ offices, mistakes still happen at an uncomfortable rate. Errors happen all the time, but in the medical billing field, they can cost a practice or provider thousands of dollars every day. With a constant flow of patients who need care, finding time to address these errors is difficultto come across. The task of identifying and correcting billing errors is also daunting, especially at first. Set aside some time to dig into your process; it will be worth it.